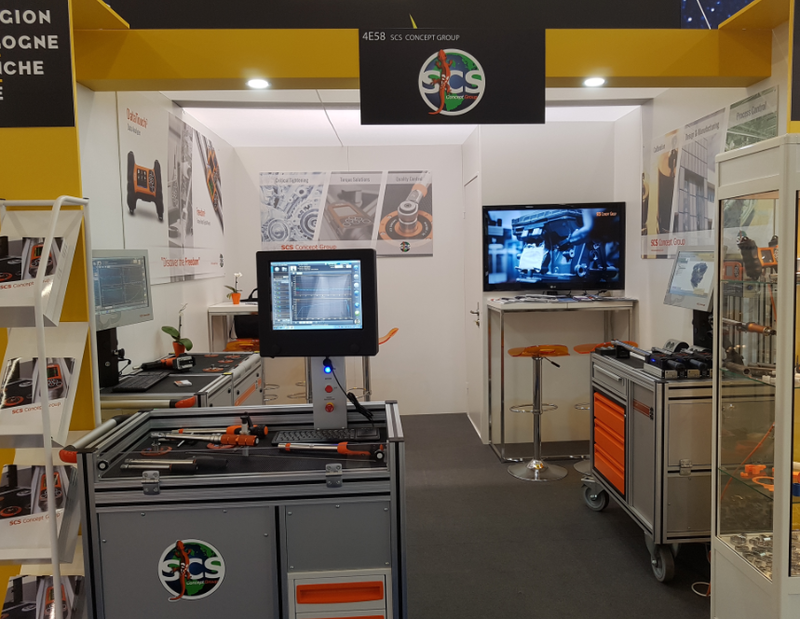 SCS Concept was in the first participation at the Airshow “Salón du Bourget”, with a stand presenting a sample of very interesting products for the aerospace industry, like AWT bench, automatic test bench for all kind of wrenches, dynamic FTY bench for control of power tools, and of course the famous Freedom3 wrenches, already known for their ease to be used in production, laboratory and process control. Must be noticed also that new contacts of Safran, Airbus and Dassault were impressed by the VPG+ software. During this Airshow, a lot of actual customers of SCS or new potential customer have submitted different new projects to us. We are already working hard to prepare these adaptions of products and software in order to success more and more in the Aerospace industry. New visits are already planed with new contacts of Safran, Dassault Aviation, Zodiac Aerospace, Permaswage, Chassis Brakes International.